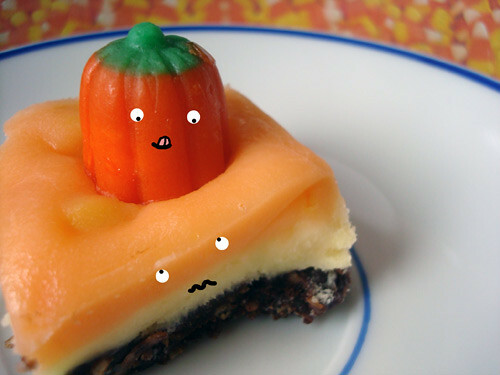 You look like you could use a candy corn Nanaimo bar. Yumsies: pumpkin pound cake. Maple Glaze. I like this: Mason Jar Key Lime Pie Cupcakes. Interesting: developing a recipe, and sweet potato brulee. Homemade Nutella Butterfingers. Be still my beating heart! Helpful etiquette: how to properly eat dessert. Pumpkin bread. stuffed with cookie dough. Oh yeah. Looking for a world of dessert? Look no further. I don't know why, but this made me laugh: how to eat a doughnut. A brief history of Pumpkin pie. Pumpkin pie pops: cute and tasty. Eat like a queen: Diamond Jubilee recipes. A truly beautiful love letter to doughnuts.